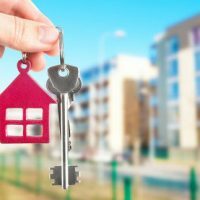 LEGAL CONSIDERATIONS FOR FLORIDA SHORT-TERM VACATION RENTALS | Sweeney Law, P.A. The demand for Florida real estate will probably never cease, as long as there is sunshine, sand, water, and theme parks, individuals from all over the world will be coming to Florida on a vacation/holiday basis. With the advent of websites like vacation by owner, AirBnB, and companies that specialize in managing short-term vacation rentals, more and more property owners in Florida are listing their residential property for short-term vacation rentals. While having a rental income stream for short-term rentals is great, there are many items that need to be addressed before moving forward with listing and entering into agreements with individuals for short-term residential vacation rentals in Florida. Short-Term Vacation Rental. Whether a property is deemed a vacation rental will depend upon whether it meets the definition of vacation rental pursuant to section 509.242(1)(c), Fla. Stat., which provides that “[a] vacation rental is any unit or group of units in a condominium or cooperative or any individually or collectively owned single-family, two-family, three-family, or four-family house or dwelling unit that is also a transient public lodging establishment but that is not a timeshare project.” The municipality where the short-term vacation is located will most likely have their own definition of short-term vacation rental. For example in Miami-Dade County, a short-term vacation rental is any dwelling unit or residence including, but not limited to, any unit or group of units in a condominium, cooperative or apartment building that is rented in whole or in part to a transient occupant for a period of less than 30 days or one calendar month, whichever is less. Section, 33.28(b)(5), Vacation Rentals, Code of Ordinances of Miami-Dade County, Florida. While up the road in the City of Fort Lauderdale, a vacation rental shall mean any unit or group of units in a condominium or cooperative or any individually or collectively owned single-family, two-family, three-family, or four-family house or dwelling unit that is rented to transient occupants more than three (3) times in a calendar year for periods of less than thirty (30) days or one (1) calendar month, whichever is less, or which is advertised or held out to the public as a place regularly rented to transient occupants, and also a transient public lodging establishment as defined in Section 509.013. Florida Statutes (2016), but that is not a timeshare project. 15-271, Code of Ordinances of the City of Fort Lauderdale, Florida. Licensure Requirements. Property owners may or may not be required to obtain a license to rent out their property for short-term vacation rentals. This this will depend upon the facts and circumstances of the term of the rental and whether the entire unit is being rented. Tax Consequences. Property owners in Florida that intend on renting out their homestead residence for short-term vacation rentals may lose their homestead tax exemption. Pursuant to section 196.061, Fla. Stat., the rental of all, or substantially all, of a dwelling shall constitute abandonment of the homestead, and that rental of the property for more than 30 days per calendar year, for two consecutive years, also constitutes abandonment. Furthermore, just as is the case with hotels and motels, vacation rentals in Florida are subject to sales tax and must register, collect and remit taxes to the Florida Department of Revenue. Additionally, there will also be taxes due to the Tourism Development Taxes as well for the county that the property is located in. Local Laws & Regulations. Section 509.032(7)(b), Fla. Stat., restricts local laws, ordinances, and regulations from prohibiting vacation rentals or regulation the duration or frequency of the rentals. This is not to suggest that local governments cannot regulate the short-term residential property regarding parking regulations, noise complaints, and the number of persons staying at the residence. Association Rules & Regulations. Property owners need to check the operative declaration and rules and regulations to determine if there is a prohibition on short-term rentals. Many condominium and homeowners associations require that all rental terms be greater than six months or a year in an effort to prohibit short term vacation rentals. Insurance. Property owners need to carefully review and analyze the insurance policies on the subject property and determine if there is a prohibition on short-terms vacation rentals, or if additional coverage is required. Title in Short-Term Vacation Rental Property. Property owners also need to carefully consider how the short-term vacation rental property is titled. In order to avoid any potential personal liability, it needs to be considered whether a single purpose entity should be holding legal title to the property. Sweeney Law, P.A. has represented lenders, owners, management companies, and tenants in all aspects of Short-Term Vacation Rentals throughout the state of Florida. Brendan A. Sweeney, Esq., of Sweeney Law, P.A., a boutique firm in Fort Lauderdale, Florida, has represented lenders, owners, management companies, and tenants in all aspects of Short-Term Vacation Rentals in Florida. Brendan A. Sweeney, Esq., is an AV Preeminent Martindale Rated Attorney, that has been recognized as a Florida Super Lawyer in 2019, Florida Legal Elite in 2019, and as a Florida Super Lawyer Rising Star in 2018, 2017, 2016, 2015, and 2014. If you have any Florida real estate litigation questions and/or issues then contact Sweeney Law, P.A. at (954) 440-3993 immediately to protect your rights. www.sweeneylawpa.com.